The American Interest is running my review of Meghan O'Gieblyn's recent essay collection, Interior States. 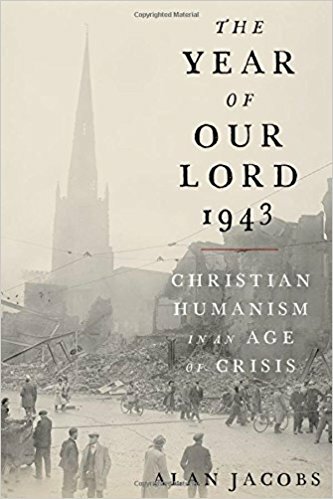 Her book is oustanding and refreshing for its ability to see through our current polarizations to reveal the irrationalities and hidden pieties that animate secular, as well as religious, world views. Highly recommended. 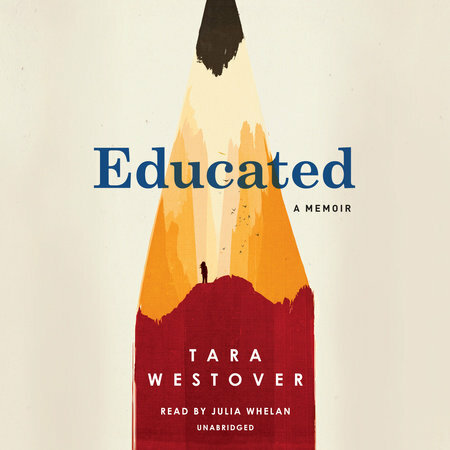 My review of Tara Westover's Educated is online and in the February 6, 2019 edition of Commonweal magazine. Please do read the review, but my short take is that most reviewers miss her goals in this book and assume that it is a rags-to-riches story of the intellectual life. It is that, but it is also the story of her soul, and on her journey, she stumbles upon some ancient, and Catholic, truths about the relationship between the individual and the community. Thanks to Commonweal for publishing it! The Winter 2019 issue of First Things contains my “Briefly Noted” review of Alan Jacobs’s The Year of Our Lord 1943. Thanks to the magazine for giving me the space to say something about an engrossing and important book. They call the section “Briefly Noted” for a reason, though, and I have much more to say than was possible in 200 words. I am currently working on a much longer piece on the book, and when it runs I will post the link here. 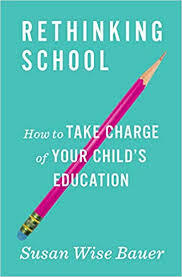 Plough Quarterly has quickly become one of my favorite publications, and I’m honored that they have featured my review of Susan Wise Bauer’s Rethinking School in their Winter 2019 issue. 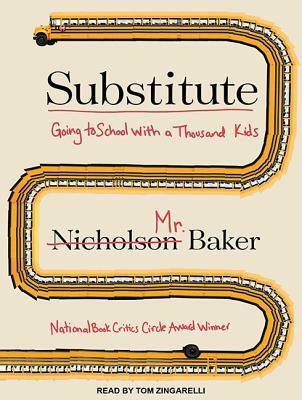 In general, I think Wise Bauer raises important questions about the efficacy of public education, but her critique misses the mark, and I’d like to talk a little bit more about that in this post. Do read my review first, as I won't rehash it here. 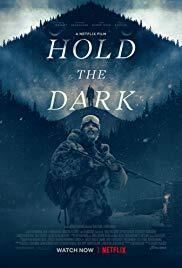 I don't watch too many movies these days (kids and work and all) but I am hoping to catch the screen adaptation of William Giraldi's Hold the Dark, which was released on Netflix yesterday. 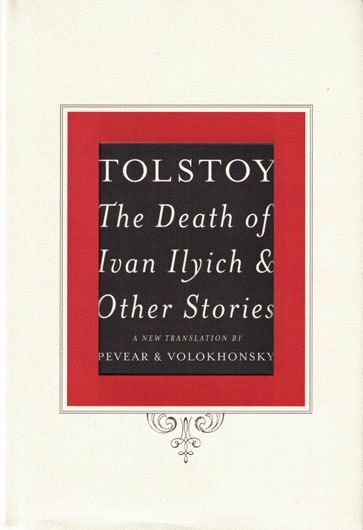 The novel is outstanding, in my opinion, and betrays the author's deeply Catholic imagination, though he may not care to admit it. I have a few book reviews forthcoming--stay tuned! When they run I will post links here. It's been over six months since my last post here, and I wanted to update any regular readers (hi Mom!) on the status of the blog and my writing. This past year our family has grown and my school obligations have increased, and I just haven't had the time to spend on the blog. And perhaps that's not a bad thing: these kinds of undertakings naturally ebb and flow, and I'm amazed to see that it's been 3 1/2 years, and 72 posts, since my first one on Walker Percy. It certainly hasn't felt that long. The time I have had to write I've dedicated to publishing, and in the near future I'll have three reviews running in various publications, both print and online. 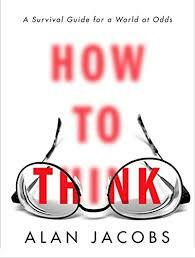 They are: Tara Westover's Educated, Alan Jacobs' How to Think, and Susan Wise Bauer's Rethinking School. I'll post all links here when they run. New blog posts are on hold for now and for the forseeable future, but I will continue to use this site as a hub of sorts for my writing. I'll use it to update readers when my writing is published, and I may also post "further thoughts" on articles and reviews I've written. Thanks for reading, and stay tuned! 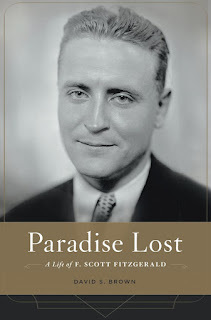 The January 5th edition of Commonweal contains my review of David S. Brown’s biography of F. Scott Fitzgerald, Paradise Lost. My take is that though Brown’s book gives us a unique angle on Fitzgerald’s work, it doesn’t do enough to give us a complete portrait of the author. A large part of that, as I argue in the review, stems from Brown’s misunderstanding of the kind of paradise that animated Fitzgerald’s art, and I’d like to elaborate on that a little more in this post. As someone who has both taken a Western Civilization sequence as an undergraduate and taught it as a teacher (my school has an interdisciplinary program that all Sophomores take) I have spent a good deal of time thinking about the scope of such a comprehensive undertaking. What is the best way to introduce students to the thought and culture that connects Greece and Rome all the way to the good ‘ol US of A? Which thinkers should we teach? How do we do proper justice to the tradition and confront the darker aspects of Western culture as well as acknowledge its achievements? There aren’t easy answers, of course, which makes the task even more interesting and keeps me coming back to the question. St. Midas Goes to Print! 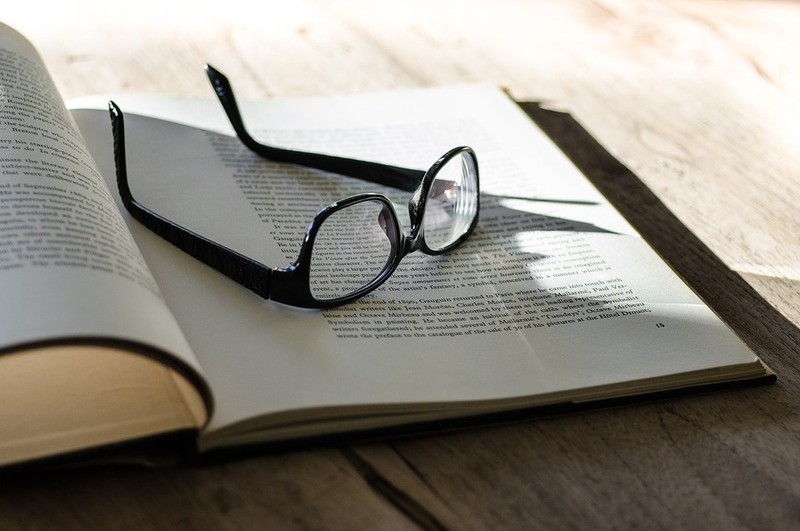 "More on St. Midas, Part 1: Identifying the Problem"
"More on St. Midas, Part 2: Three Suggestions for a Return to the Humanities"
Also, see my review of William Deresiewicz's book Excellent Sheep, which I draw upon in the Commonweal article. Thanks to Commonweal for getting it to print! My review of a recent biography of F. Scott should be forthcoming in their magazine as well. I'm honored to have received 3rd place in Dappled Things' annual Jacques Maritain essay contest, for my 2016 article on William Giraldi's Hold the Dark. I'm especially humbled to see the other names ahead of me--artist Daniel Mistui and the philosopher/writer James Matthew Wilson. Both are quite accomplished in their respective fields. Congrats to them and thanks to Dappled Things for the award. Sorry for the sparse blogging of late. I hope to return soon, once some upcoming events and obligations are behind us. What makes a community? And what sustains it? Important questions in any age, and certainly in ours, for whatever glue it is that holds us together has never seemed more brittle. 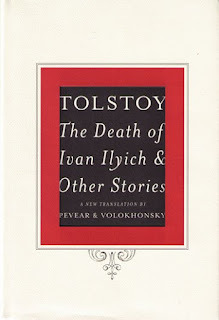 This is the third installment in my slow-to-develop “Literature for the Modern Mind” series. 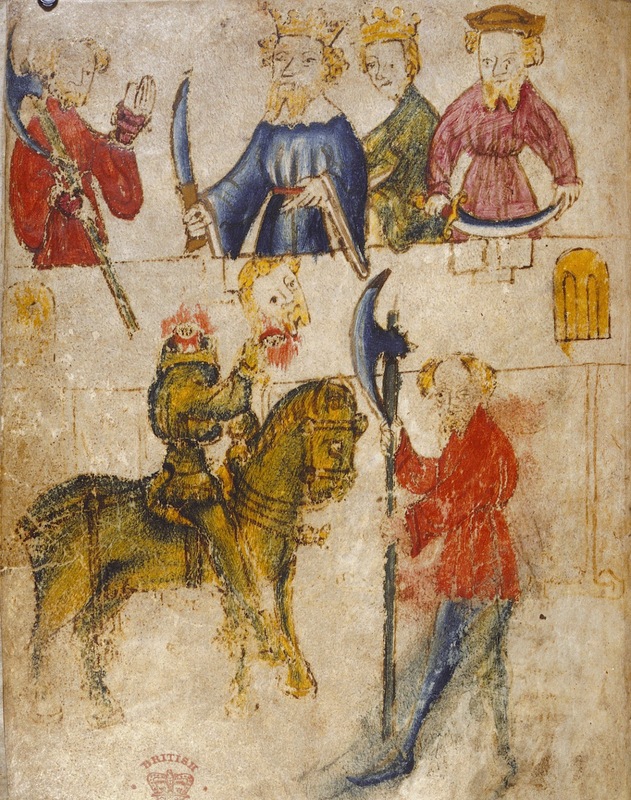 For an overview of what it’s all about, see here. Lately I’ve been thinking about the role Catholic education plays in helping students understand the ways in which our Christian inheritance comes into conflict with the modern technocracy. My recent article on “St. Midas’ Prep” deals with this subject directly, and as I’ve thought about it more and more, I’ve come to conclude that everything at stake here can be boiled down to one essential question: Does the world exist for us, or do we exist for the world? Last year for a Christmas present I received a copy of Olivia Laing’s The Trip to Echo Spring: On Writers and Drinking. Now that this year’s Christmas vacation is here, I’ve finally found time to read it (aren’t gifted books like wedding thank-you notes? One year to get around to them?). It’s quite good—Laing, a British writer, travels the US on a route that traces the haunts and tortured careers of six American writers of the last century: F. Scott Fitzgerald, Ernest Hemingway (pictured above), John Cheever, Tennessee Williams, John Berryman, and Raymond Carver. 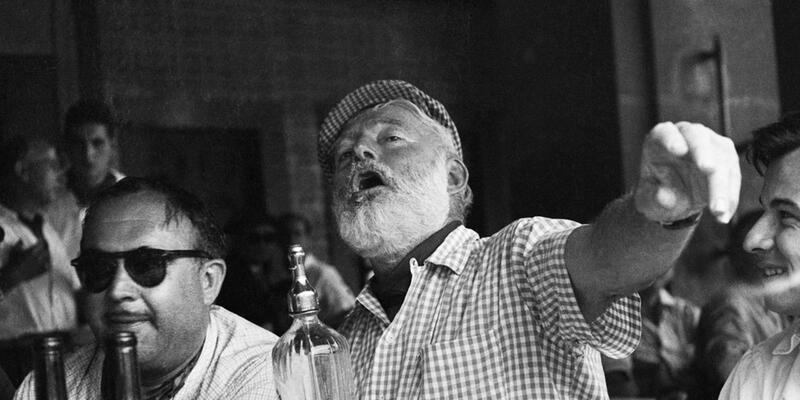 All of these writers also happened to be professional alcoholics, and Laing digs deep to find the roots of their drinking in their pasts, as well as its manifestations in their art. I’m more than halfway through, and so far it’s excellent. Laing's gaze is unflinching, neither glamorizing their drinking nor celebrity status, and in its ability to connect the dots among the six protagonists, the book reminds me of another of my favorite multi-person biographies: Paul Elie’s The Life You Save May Be Your Own, which presented the interconnected lives of the last century’s most influential American Catholic writers: Walker Percy, Dorothy Day, Thomas Merton, and Flannery O’Connor. During weeks leading up to and after the presidential election, I read J.D. Vance’s much-talked-about memoir, Hillbilly Elegy. 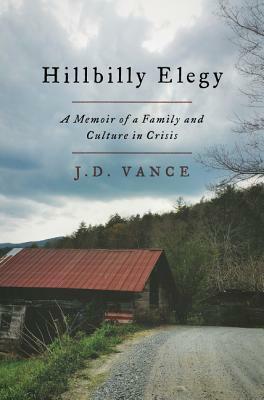 The book had shot to the top of the bestseller lists before the election, and in the wake of Trump’s victory, Vance has been a go-to commentator for an East Coast media desperately searching for someone who understands what makes the rest of the country tick.